Why do we love curling wands? I guess the answer is obvious – they let us create so many fabulous styles, anything from tight, defined curls on natural hair to loose wand curls on a weave. 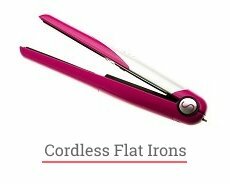 Without a clamp, curling wands don’t leave these obnoxious creases that are almost inevitable with a regular flat iron. First, we will talk about different types of curls that you can create using a curling wand. These are big loose waves, tight defined curls, even curls with a weave (that is totally a thing). I will give you some tips on how to make loose curls with a wand and how to get wand curls on a long weave. Short wand curls and tight wand curls on a weave won’t be left out, too. Actually, there are so many options here that it’s easy to get lost. But I’ll try to be your guide for a while. Also, we’re going to discuss how to get cute wand curls depending on your hair thickness, length, and overall condition. Obviously, making curls on long hair and on short one has its nuances. Be it curls on a weave or natural hair, there are some tips and tricks for you. And my favorite ones – tapered wand curls! But let’s “begin at the beginning”. 1 Making Curls with a Curling Wand: What Are the Options? 2.2 Want to try on bubble wand curls? 5 Creating Curls with a Wand: Now You Know Everything! Making Curls with a Curling Wand: What Are the Options? If you’re not new to styling, you probably know how many curly styles one can create using a curling wand. They come in all shapes and sizes. It’s not only loose and tight curls but also defined, big, baby, you-name-it curls. And, of course, there are beachy waves that have little to do with actual beaches today. Let’s see what types of curls you can actually make. That depends mostly on your desires, but tool features and your hair thickness and length play an important role as well. First, you need a tool with quite a wide barrel, from 1.5 inches up to 3 inches. The same holds true for making big curls with a wand. The wider the barrel, the looser and bigger your curls will be. If you want to make loose curls with a curling wand and your hair isn’t fine or damaged, you may want to try the Babylisspro Nano Titanium Spring Curling Iron. I find this tool to be one of the best curling wands for big curls. Just keep in mind that loose wand curls are an option for medium-length or long hair, not the short one. If you prefer classic defined curls, a 1-inch wide barrel will probably work well for you. Here, you have many options to choose from. I like the Beachwaver Co. S1 curling iron that can be used for various styles, including beach waves and defined curls. To make tight curls with a curling wand, you will need a tool with a smaller barrel, something about 1 inch or even less. The Helen of Troy curling wand featuring 0.5-inch barrel is an excellent choice for creating wand curls on short natural hair as well as on medium-length tresses. For me, one of the greatest beach curls wands is the Beachwaver Co. S1 curling iron. With this tool, you will get a blowout that lasts for 2-3 days! 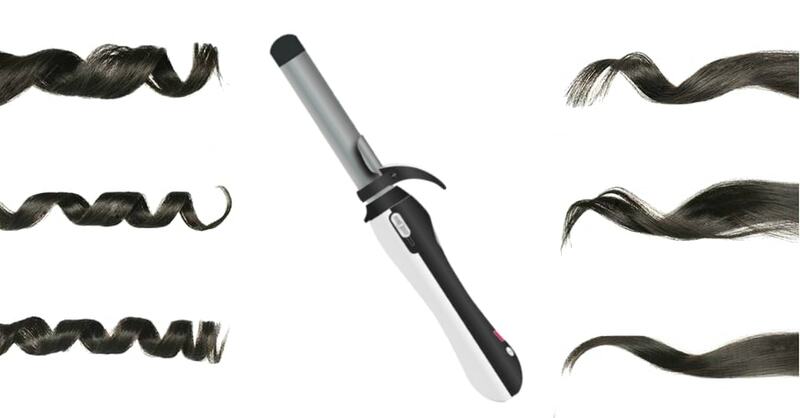 On top of that, you can use the same tool for making tight, defined curls and glamorous waves. Styling versatility is our everything, right? For more creative hairstyle, try a tapered barrel curling wand. Depending on its size, this tool can be used for making both baby and loose curls with a wand. For example, take the Remington Pro 1-1½” curling wand featuring pearl ceramic coating that smoothes hair. Want to try on bubble wand curls? 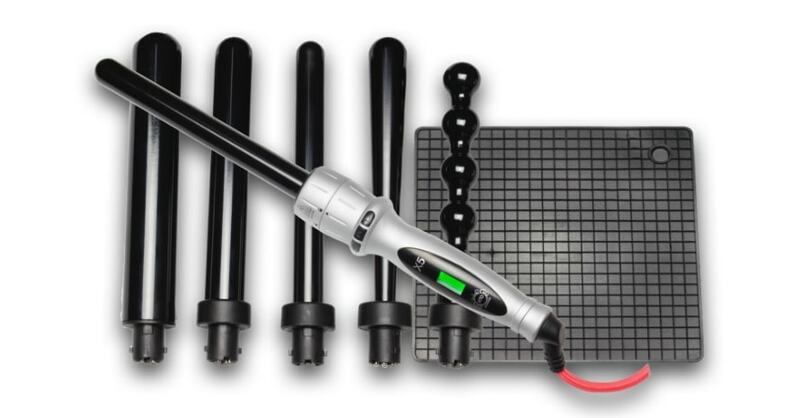 Take something like the Hot Tools professional bubble curling iron with the 1.25-inch barrel. The curl style you can get from using such a wand is truly distinctive and unique. If you want to make thick waves, wrap your tresses around the bubbles. And for creating tight small curls with such a wand, twist the hair in the dips between bubbles. I believe pearl wand curls are just adorable, don’t you agree? Let’s assume that you’ve found the perfect curling wand for your hair and you’re ready to style it. What else should you know before making curling wand curls? Pay attention to the heat settings of the curling wand. Fine, damaged, and brittle hair should be curled on lower temperatures, while thick and dense locks can stand the higher heat. 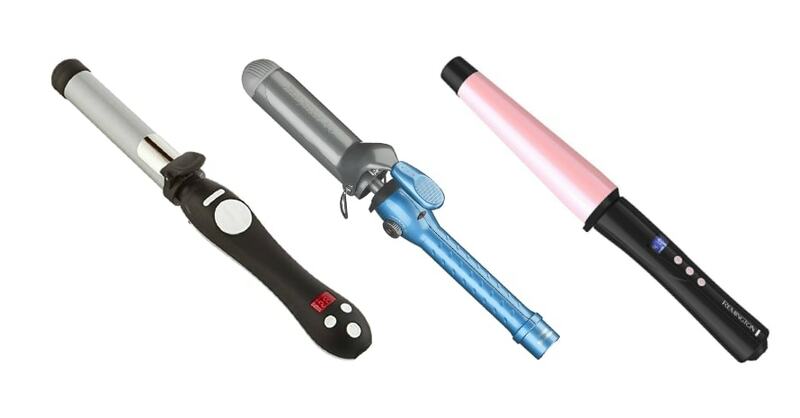 Choose from the curling wands with ceramic or tourmaline coating. These materials are considered to be the safest for your hair health. Before you start curling, make sure that your tresses are absolutely dry. Do not apply a curling wand on damp hair as it can cause unnecessary damage. Your locks will appreciate some moisturizing and nourishing hair treatment before curling. Before making any kind of wand curls, always put heat protection on your hair. The barrel and the tip of the tool may be extremely hot, so do not touch them! If a curling wand comes with a protective glove, it’s a huge advantage. Start with day-old hair: a little bit of oil makes curling easier, and the wand curls last longer. But first, brush your hair to distribute the oil along the entire length. If your locks look a bit limp after styling, you may refresh the roots with a dry shampoo. Wrap your tresses around the wand, starting from the base and moving towards the tip. Twist away from your face if you want to open up your features and brighten your overall countenance. You can start curling either from the very roots or the mid-section. The first option is more beneficial as the roots lock heat and keep a long-lasting blowout. At the same time, try not to overheat the roots. To make wand curls on a weave or natural hair, wrap it around the wand and hold for a few seconds (no longer than 5-7 seconds). Don’t just drop a curl but let it cool down and release it gently. Curling all the way down to the very ends will give you glamorous defined curls, and if you feel like trying the more casual look, you may leave the ends undone. To make loose curls with a wand, hold the tool vertically. And if you prefer bouncy, tight wand curls on a weave or natural hair pull the curling wand down and hold it horizontally. This will leave you with bodacious voluminous waves. To get a uniform look, stick to the angle chosen. And if you don’t mind more carefree wand hair curls, try to change the angle a little bit. If you prefer more relaxed wand curls, run through with your fingers when all the tresses are done. 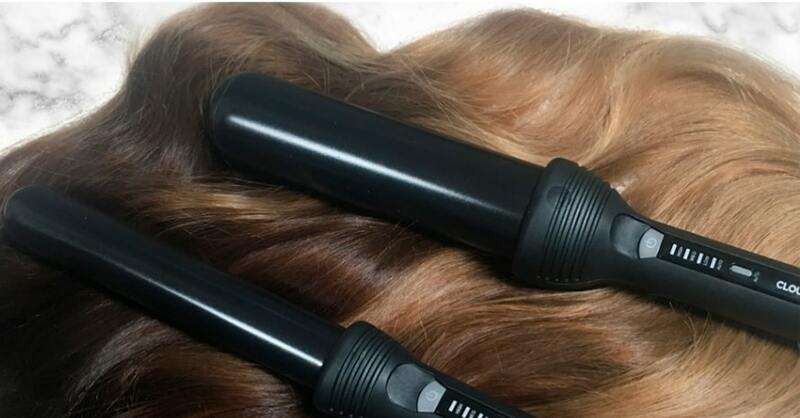 Finally, flip your head over and shake it out for your wand curls to look more natural and voluminous. When it comes to styling, there is no such thing as a “one size fits all” approach. Before making curls, you should define your hair type, length, and overall condition. And I’ll tell you how to create wand curls on natural hair as well as on hair extensions. If you want to get short hair curls with a wand, you will need a tool with a smaller barrel. The narrower the barrel, the smaller your wand curls will be. Getting loose curls with a wand on short hair is possible, but it requires some practice. For short hair wand curls to look textured and voluminous, take a wand with a small barrel and face it down when styling. Be especially careful and not let the wand touch your skin and scalp. If we’re talking wand curls on natural hair, girls with long hair have ample opportunities here. You can get pretty much anything you want – from loose curls to defined ones, from bubble wand curls to tapered ones. Just set the right temperature for your hair type to reduce the damage as much as possible. If your hair is thin and flat, go for a smaller barrel wand. That way you will be able to create soft curls with a wand that look nice even if they lose shape throughout the day. And if you have thick hair that holds shape, you need a wider barrel for making loose, big curls with a curling wand. Making wand curls on black hair has its nuances. African-American hair is usually thick and dense so it can stand high temperatures. Plus, it’s naturally curly. On the other hand, thick Asian hair may be hard to manage, so creating wand curls on it takes more time and efforts. No matter the hair type, always put a dollop of a heat protectant before styling. If you want to get wand curls on a weave, make sure to start with freshly washed and detangled hair extensions. Section off a small portion of the back of your hair and pin the rest. Comb it again to avoid any knots. Then take a strand, wrap it around a curling wand as usual, and hold for several seconds (no longer than 5-7 seconds). Control the heat to avoid burning hair. Do the same with all the other hair sections. As you can see, making wand curls on a weave isn’t that hard, but you definitely need some practice. To make wand curls on a weave, use a wide-tooth comb to detangle it. In order not to loosen the weft or damage your own hair, comb very gently. 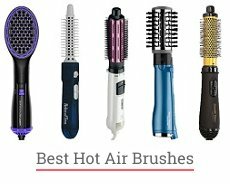 Actually, heat styling isn’t good for any hair extensions, so if you dream about wearing middle part sew-in wand curls every day, I have to disappoint you. I guess getting wand curls with middle parts once in a while is okay. Just make sure to set the right temperature for your hair extensions so that they won’t burn or melt. Ask your stylist how to care for your weave and how to make wand curls with sew-in with minimal damage. Creating Curls with a Wand: Now You Know Everything! So, that’s all I wanted to share with you. Now you know how to get loose curls with a wand and whether it’s possible to make middle part wand curls. We’ve talked about curls on a weave and natural hair of different types, and if you have any questions, feel free to ask them below. Finally, let me introduce you to the t3 Twirl Convertible curling iron, my favorite curling wand for tight curls. Actually, there is a base and 7 replaceable barrels for various styles – from big soft waves to voluminous curls. So, it’s a great curling wand for loose curls, too. I guess there are a few similar wands on the market, so you can choose the perfect one for you! Girls, what curly hairstyles do you prefer? Have you ever tried curls on a weave or side part sew-in with wand curls? Do you have any tips on how to create perfect curls with a wand? I will be glad to see your comments below! These are really best curling wands! Thank you for the recommendation!